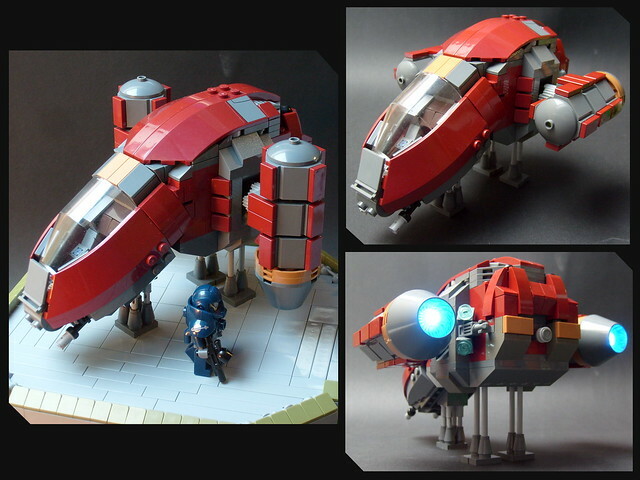 I love a MOC that keeps me looking, and this sweet MOC by MeGustaKapusta is a great example of that. 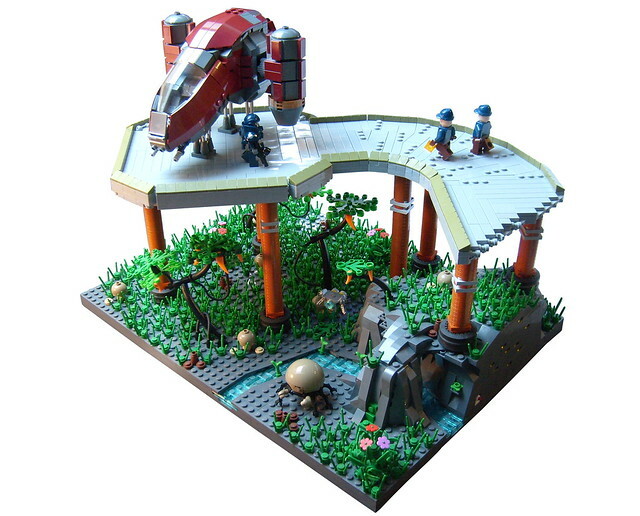 The first thing you notice of course is the cool ship and landing pad. But then your eyes wander and you spot the interesting color uses, the otherworldly plant life, the cool little robot/creature thing down below. You just keep looking and spotting new things. All this lovely detail, and the engines light up, splendid. He Was Built By WHO? !